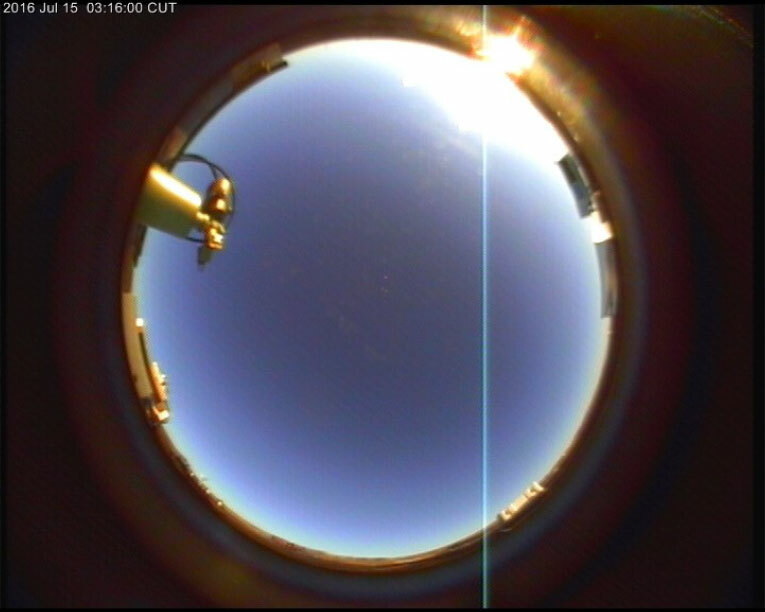 The Moonglow All Sky Cam collects whole day long images of the sky. By visual inspection of the images not only the cloud cover can be inferred in daytime and nighttime, but also information about the presence of rain or snow/ice. 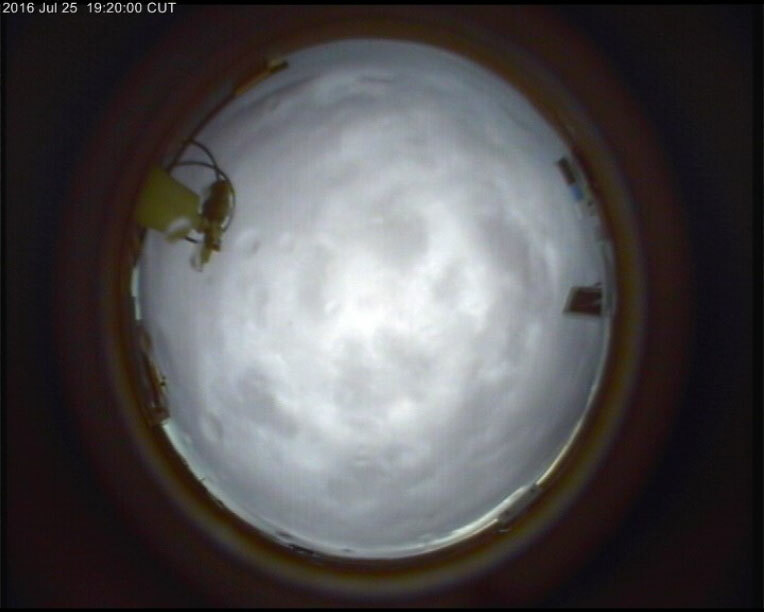 For this reason the All Sky Cam images are useful in conjunction with the other instruments installed at THAAO. The camera has been installed by the ENEA group in July 2016. The instrument has a CCD sensor into an aluminum housing protected by a spherical glass window. The field of view is 190° and the pixel resolution is 534x538. Images are acquired with 1 minute time intervals. Previews are available online at http://www.thuleatmos-it.it/data/skythule. A quantitative estimate of cloud cover can be derived by applying specific algorithms for automatic cloud detection.